It’s the start of a new era down in Gainesville with the arrival of Will Muschamp. Quarterback John Brantley returns for his senior season but I’m not entirely sold on him. 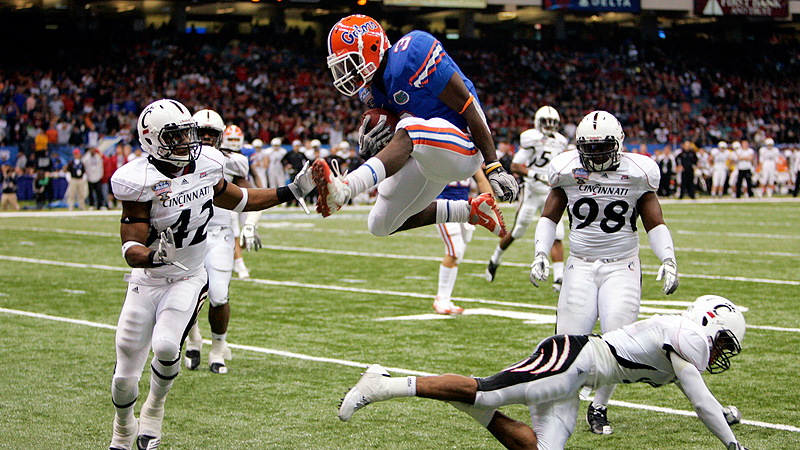 I truly think offensive playmaker Chris Rainey will have to produce in order for the Gators to be successful. He’s an all-around threat rushing, receiving, and returning punts. Rainey is an explosive player similar to that of a former Gator, Percy Harvin. Rainey ran into some domestic issues last season and was benched for a few weeks. The Gators could have benefited from his services during that stretch of time as the team went 2-3 without him. Though when Rainey was in action, the team went 6-2. Rainey is definitely a player the Gators cannot afford to be without, and I expect him to rack up some serious stats this season. Even after posting 9 wins in ’10 and returning 16 starters this season, I believe the Bulldogs will be a sleeper team in the highly physical SEC West. However one player who dramatically helps this team’s chances of winning 10 games and even stealing the SEC crown is RB Vick Ballard. The workhorse just barely missed cracking 1000 yards (968) but he still managed to cross the end zone 19 times (an MSU record)! A lot of people are hoping Chris Reif can develop into an elite quarterback to take the Bulldogs to the promised lands, but I truly believe the team needs to hop on Ballard’s back. This team went 1-4 against teams in the SEC West last season and Ballard only mustered out an average of 67.75 yards in those losses. Offensive Coordinator Les Koenning needs to make sure Ballard is getting the rock early and often. Taking a closer look at the stats, Ballard only carried the ball 5 times for a measly 13 yards in the tight-3 point loss to Auburn in Week 2. The following week in the loss to LSU, he only got the rock 11 times…How do you expect to win any games by only giving your best player 11 touches? 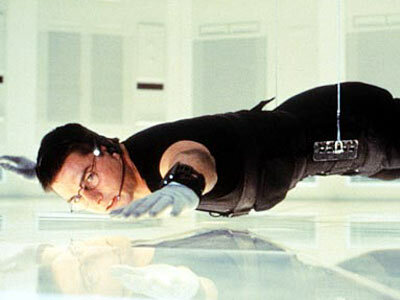 It’s Mission: Impossible. 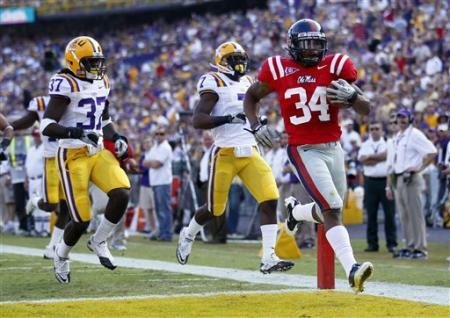 This Ole Miss team returns the most offensive starters among its SEC West opponents (9). And among those players, RB Brandon Bolden returns in hopes of helping his team win more than just 1 SEC game in ’11. Last season, the Louisiana native nearly rushed for a stack (976) and scored14 times. A new QB and a depleted defense (only 3 returning starters) have me believing that it won’t be all ‘Peaches and Cream,’ or even CherryPickin’s for the Rebels this fall; but having a player as talented as Bolden in its backfield certainly helps this team’s chances. I felt sorry for Coach Dooley last summer. The new head coach was entering into a messy situation down in Knoxville. The previous head coach left the team in shambles and fled under the cover of darkness to USC! This team only returned 3 starters on its offense, playing in a very physical SEC East division. The odds of this team heading to a bowl game were slim at best. I originally though the Vols would post a 5-7 record in ’10, but the team ended up pulling it together and went to a bowl game (The Vols ended up going 6-7). One of the reasons Dooley and his Volunteers had some success can be attributed to QB Tyler Bray. When thrust in the starting role he went 4-1 at the end of the season. He lost his composure in the (wacky) loss to UNC by throwing a career high 3 INTs to the Tar Heel defense. So there’s some speculation as to whether or not Bray can be the man, but I say, “The Future is Now, Young Buck!” This season we’ll see whether or not Bray can restore Tennessee’s winning tradition again. It all begins on September 3rdagainst Montana. CherryPickin’ is now on Facebook!